With change in technology, the channels to harness customers have also changed, resulting in a completely new approach to market products. Today, consumers increasingly use digital technologies and devices at every step of their buying journey. 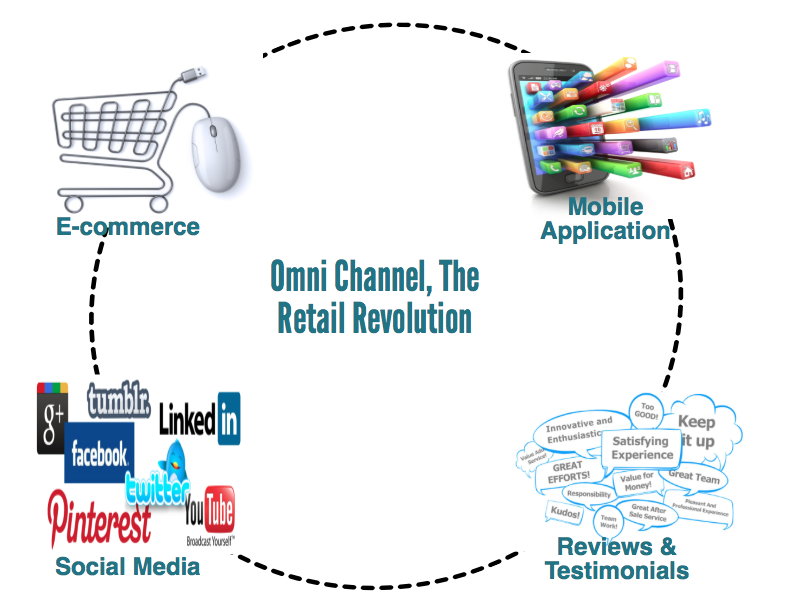 Smart retailers have exploited this consumer behavior by marketing their product through Omni channels. What exactly is an omni-channel marketing? Omni-channel marketing targets seamless consumer experiences across all available marketing channels such as e-commerce, social networks, cataloguers, radio and television, conventional brick-and-mortar or any other channel through which you tap a consumer. The pivotal point of omni-channel is to embrace an inbound approach, placing consumer preferences at the core of every strategic decision instead of just throwing the brand at them. Moreover, the end goal is a successful one-to-one relationship constantly boosted by successive brand-consumer interactions. The principal move here is to blur the boundaries between different channels and build a comprehensive strategy that is built on various sources of consumer choice data. Retailers might realize it sooner that it is not often their in-house strategies or promotions attracting consumers, therefore the brilliance lies in leveraging third party. As technology becomes more robust, it gives a boost to business by offering comprehensive, personalized shopping experience. The in-stores of e-commerce websites help customers to know product in a better manner. Lets say a consumer is buying a dress an online store. The online platform should give the consumer a holistic information about the availability of size, colour and shape if it’s a dress, a detailed configuration if its an electronic product etc. In detail a consumer gets information about buying history, clothing size and color, product descriptions, images, exciting offers and much more. This permits retailers to deliver comprehensive product guides to each individual consumer. The consumer prefers personalized shopping experience. It becomes very easy to access information through a single touch on the phone, building a positive brand name and this practice only showcases what they want rather than giving a generic sales pitch. Mobile Apps offers a holistic knowledge about in-store & e-commerce sales and events to the customers as they shop. Peer-to-peer communication is the most powerful method to sell a product. Brands using social communities are stepping out of the traditional advertising model and allowing customers to help build the brand name through their own discussions and recommendations. Social Media networks play a big role in providing an omni channel shopping experience as it lures more consumers to the store. Social media based on location like Foursquare and Facebook allow businesses to use social channels to market products to local customers. These websites engage mobile users to interact with their friends via “check-ins,” showing who has stopped where and their comments. Review and testimonials on the websites, social media and other areas turn out to be a powerful indirect advertising tool. Review is a source through which a customer access information regarding the quality of the product. Moreover, it also helps strengthening customers decision to buy a product. Reviews and detailed product information presented while shopping creates a comprehensive buying experience that can help drive sales. So, the retail world is experiencing a revolution in the manner of marketing products with new strategies focusing towards a record breaking profit. If you are still out of the Omni channel marketing start leveraging it now to gain the maximum surplus.